Sailfish OS project was started by a group of ex-Nokia employees aimed at continuing the development of MeeGo OS. Originally the MeeGo was the result of the merger of Nokia's Maemo and Intel's Moblin projects, both Linux systems. But when Nokia decided to ditch MeeGo in favor of proprietary Windows Phone, a bunch of disgruntled Nokia employees who included Sami Pienimäki, Jussi Hurmola, Marc Dillon and Stefano Mosconi, formed Jolla, the company behind open source Sailfish OS, in October 2011. And their hard work is finally paying off. The first ever Sailfish OS powered smartphone is arriving at the end of this month. Smartphone users in Finland will soon have one more OS to choose from. The Sailfish OS powered Jolla smartphone will arrive in the Finland market at the end of this month with a price tag of 399 euros, roughly $540. Being their first ever smartphone venture, the phone's specs doesn't look as good as it should be. Jolla smartphone is powered by a dual-core 1.4 GHz Qualcomm Snapdragon processor, and has 1 GB of RAM, 16 GB of storage, a 4.5-inch 960×540 qHD display, a 2 megapixel front-facing camera, and an 8 megapixel rear camera with LED flash and auto-focus capabilities. Quite underwhelming specs when you consider the price. We hope that they would come up with better spec'd devices at much lower prices to truly compete with the giants like Samsung, LG, Apple, and Sony in the international market. And like Blackberry OS, Jolla has some very nascent support for Android apps. Sailfish OS can run Android apps directly via a compatibility layer. But their real USP is a feature called "Other Half". It is an interchangeable backplate which can be used to transfer data or control the device via NFC. Different backplates can be configured to automatically change the phone’s color theme and wallpaper upon attaching, making it possible, for example, for studios or artists to sell backplates that contain their music as well as album art and color schemes. 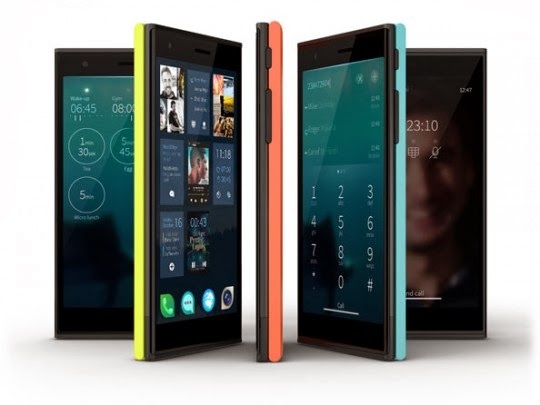 Jolla smartphone would be more like a proof-of-concept for the company and they will closely monitoring the feedback they get for the device. The Jolla smartphone will be available from the Finnish carrier DNA for a price tag of 399 euros from November 27, 2013. There seems to be no immediate plans for international availability though.